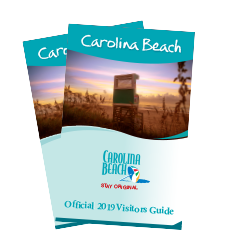 When visitors and residents think of Carolina Beach, they usually envision lazy days spent lounging on the sand, afternoons surfing the waves and sunsets watched from the bow of a boat. While Carolina Beach is known for its laidback and down-to-earth vibe, it has a fun-loving and free-spirited side, too! Here’s your music guide to sing and dance the night away during your next vacation to Carolina Beach. Kick off your evening at Good Hops Brewing, a family-owned and operated small-batch brewery that is known to bring in new and unusual musical acts during special events. A family- and dog-friendly scene, Good Hops offers samples, flights, pours and beer to go, as well as non-alcoholic drinks, individual pizzas and chips. Hoplite Irish Pub & Restaurant hosts live music every Friday and Saturday. With plenty of beer on tap and some of the best homemade Irish and American pub fare, Hoplite is a fan-favorite for visitors and locals alike. Reggae enthusiasts, on the other hand, will go crazy for the bands who frequent the Lazy Pirate Island Sports Grill. As it happens, the restaurant hosts “Reggae Festivus” every Sunday during the summer months starting at 6 p.m.
For those looking to enjoy some fresh air along with their favorite tunes, The Last Resort is one of the first places you should try. Enjoy live entertainment seven days a week, sit outside on the sun deck, meet some new friends and relax in a comfortable outdoor setting. If you’re looking for rock, reggae or blues music, Ocean Grill & Tiki Bar is your spot. Located on a wooden pier, the tiki bar is accessible from the beach or from the restaurant itself. Overlooking the Atlantic Ocean, Ocean Grill is a rare combination of ideal location, fresh coastal cuisine and casual beachfront bar scene. Named one of the “Best Beach Bars in America” by Coastal Living, the Fat Pelican is one of the most unique spots at Carolina Beach thanks to a large walk-in cooler stocked with over 350 beers and a nice wine selection for those non-beer drinkers, too. Free popcorn, foosball and arcade games make this spot a must-stop attraction, but its "Pelican Beach" – where patrons can enjoy their drinks outside with friends, listen to music and have their toes in the sand – that keeps people coming back year after year. Rock fans will want to spend all night at SeaWitch Café & Tiki Bar. Offering an extensive dinner menu as well as Sunday Brunch, you can dine inside or have your choice of two outdoor seating areas. Enjoy live local music from Tuesday through Sunday along with food and drink specials. During the summer months, the gazebo at the famous Carolina Beach Boardwalk features weekly concerts followed by seaside fireworks. The music starts at 6:30 p.m. followed by the fireworks at 9 p.m. If you’re a beach music fan, you will not want to miss out on one of the longest running beach music festivals in the U.S., the Carolina Beach Music Festival, which takes place on the beach strand at the Carolina Beach Boardwalk the first Saturday in June. “Shaggers” of all ages can enjoy a day of live entertainment with the hottest beach music bands in the South.